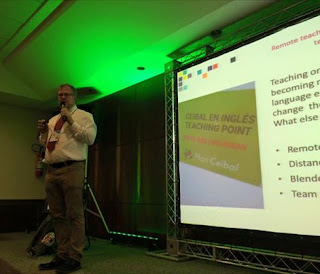 I was very pleased to be invited to the BRAZ TESOL Technology seminar in Sao Paolo a week or so ago. The invitation to give a plenary on the Plan Ceibal English project allowed me to update and expand on what I'd spoken about previously, and having an hour meant I could go into more detail than I have usually done with this type of presentation. I am convinced that what the British Council have developed in partnership with Plan Ceibal, the remote teaching of English and follow-up facilitation of lessons by classroom teachers, is an interesting offer for organisations in other countries. There does seem to have been an increase in interest recently, especially now that the project is maturing and we have been able to show it is working well. Who knows, perhaps the next country to become involved could be Brazil? 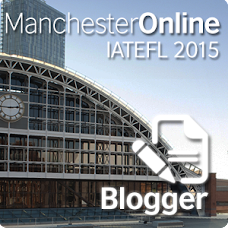 The slides for this plenary can be found below.